mobileways.de, a developer focussed on delivering dedicated Symbian applications for mobile fun and data apps. The company’s official blog released the first alpha version of Gravity 1.5, which rolls in several bug fixes, with an entirely rewritten Facebook section. 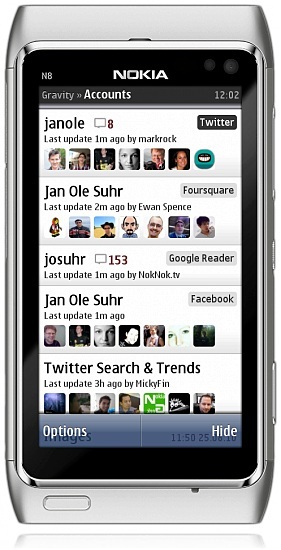 Gravity is one of the most popular S60 Twitter clients with support to multiple accounts, Twitter features, Facebook integration, Foursquare and Google Reader. 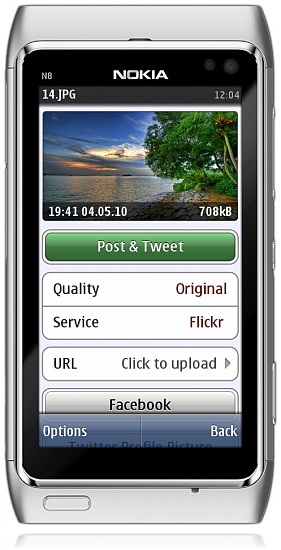 With the update, the new version delivers several new features with support to Symbian platforms, Symbian 3, S60v5 and S60v3. Furthermore, the application comes with its own virtual on-screen keypad for touchscreen phones available in both, landscape and portrait modes.